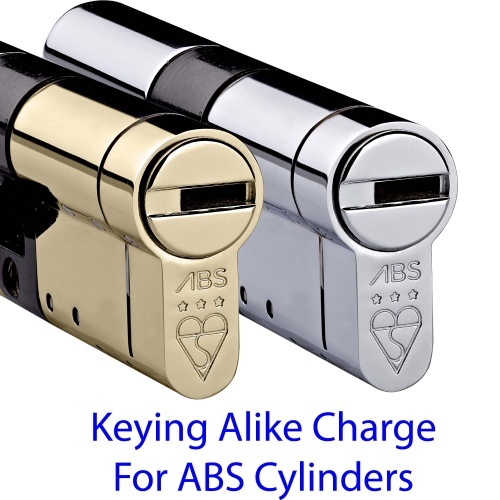 We can make your cylinders so they operate from the same key. Simply add the required cylinders to your basket and then add the same quantity of Keyed Alike charges to your basket to have your cylinders keyed alike. Keyed alike cylinders are considered a special order as they are made to your specific requirements. As such cylinders that are ordered as keyed alike are non returnable unless faulty or damaged. Please double check your sizes before ordering as we are unable to accept returns if cylinders do not fit. KEYED ALIKE CYLINDERS ARE SUPPLIED WITH THREE KEYS IN TOTAL (irrelevant of the number of cylinders ordered) - EXTRA KEYS CAN BE ORDERED IF REQUIRED. CYLINDERS ORDERED TO MATCH AN EXISTING CODE ARE NOT SUPPLIED WITH ANY ADDITIONAL KEYS UNLESS ORDERED. This product is on an extended lead time of 3 - 5 working days.